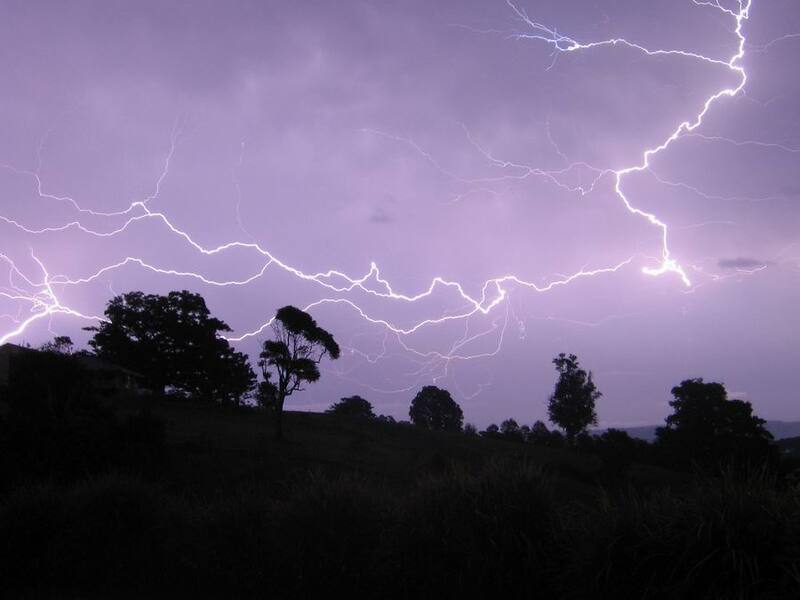 The morning data of the 9th December 2007 indicated there was a potent environment across central coastal New South Wales including the Sydney area. For Sydney, the environment was dependent on timing. If storms erupted early during the afternoon, with heating, deep moist air and dry air aloft, the environment could become explosive. 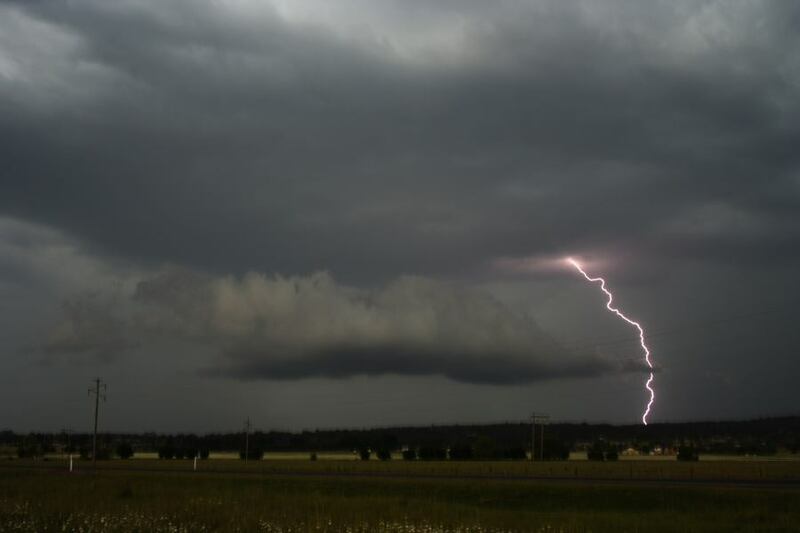 Storms did develop and struggled across southwestern Sydney. 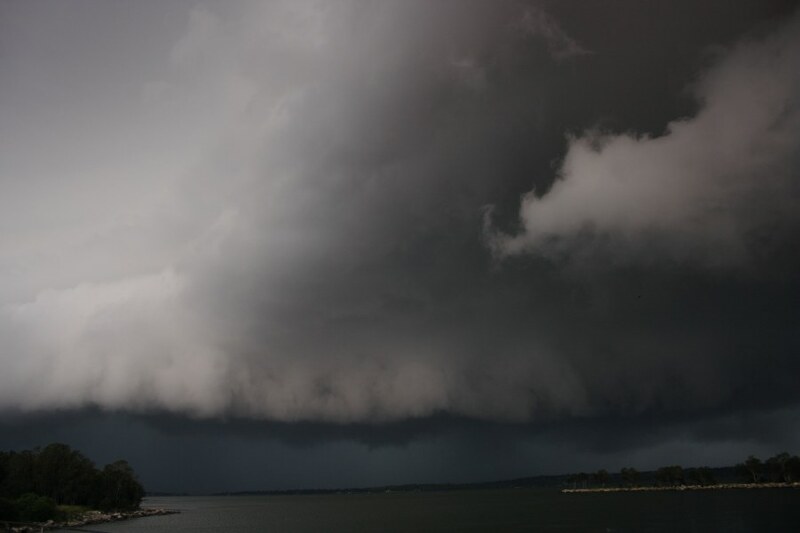 However, it was the second storm developing near Warragamba Dam that literally exploded as it entered the Sydney basin and made a left turn - birth of a nasty supercell. 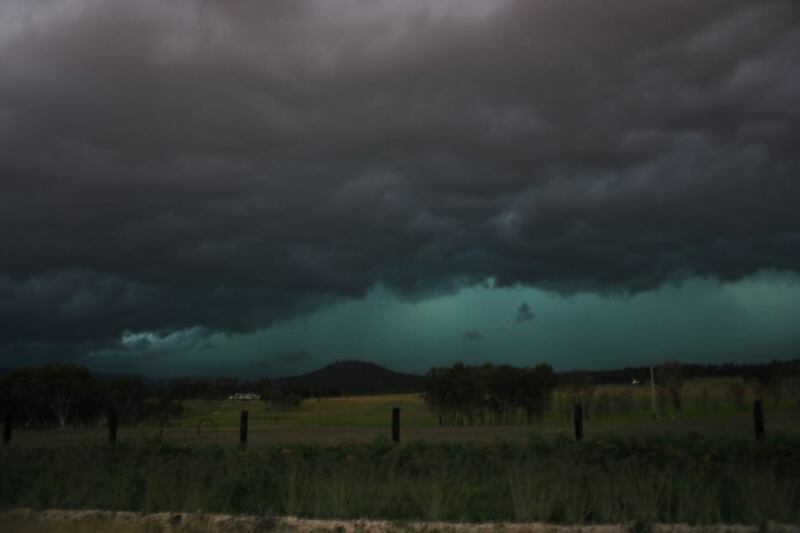 During the next hour, it devastated regions from Rooty Hill, Doonside and Blacktown through to Castle Hill and Dural but began losing intensity as it neared the central coastal regions near Gosford. 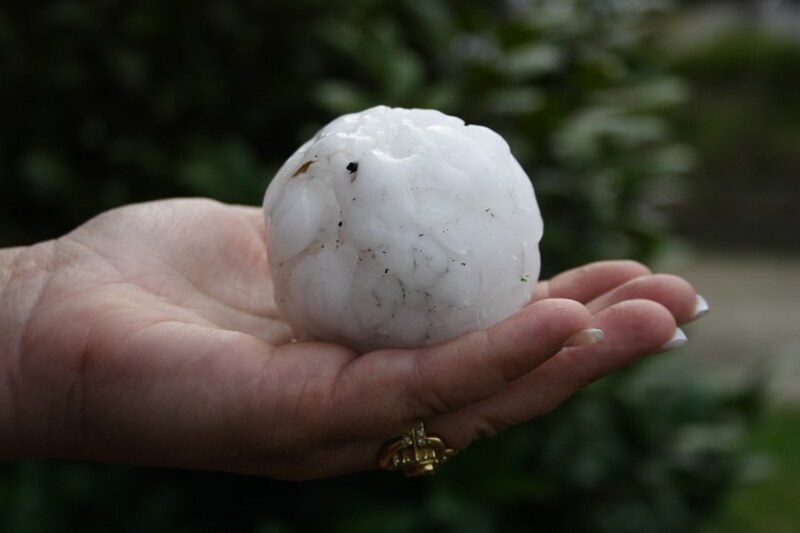 Hailstones to at least 8cm in diameter smashed roof tiles, destroyed cars and shredded leaves. 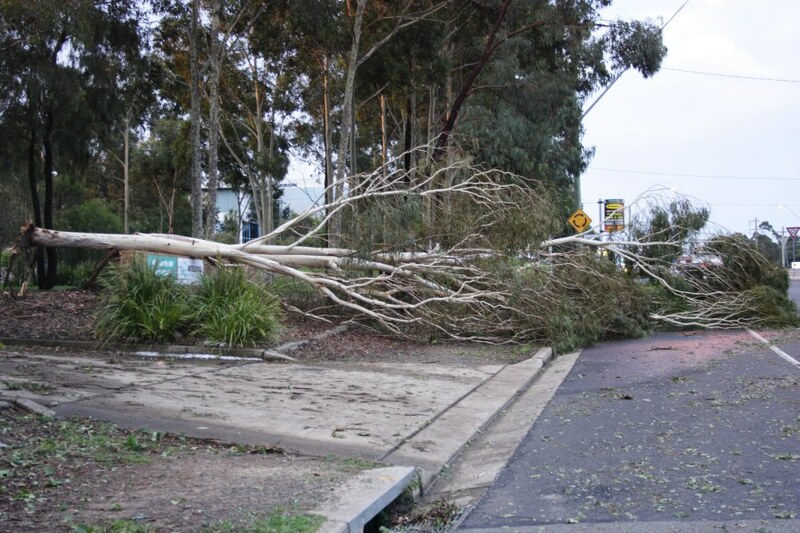 Powerful straight line winds levelled trees particularly in the Castle Hill to Dural region possibly due to a change to outflow dominant behaviour. 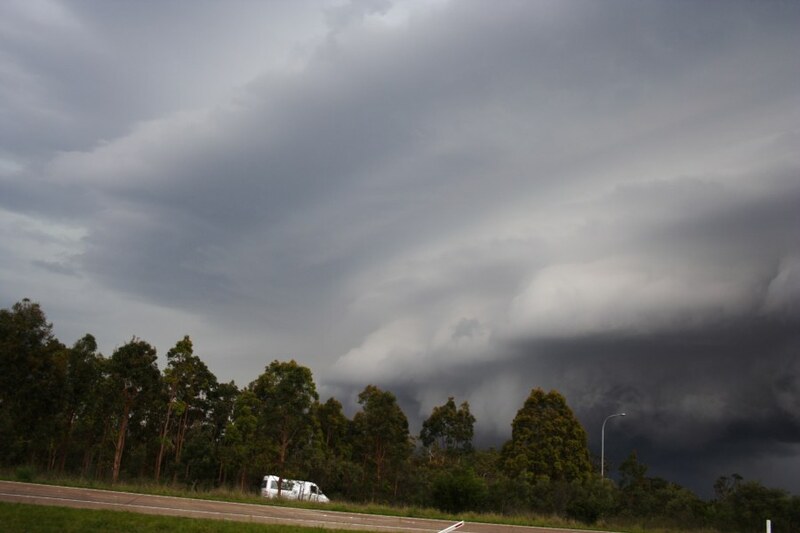 In its initial stage, the supercell in western Sydney exhibited a classic structure with back sheared anvil and dynamic wall cloud. 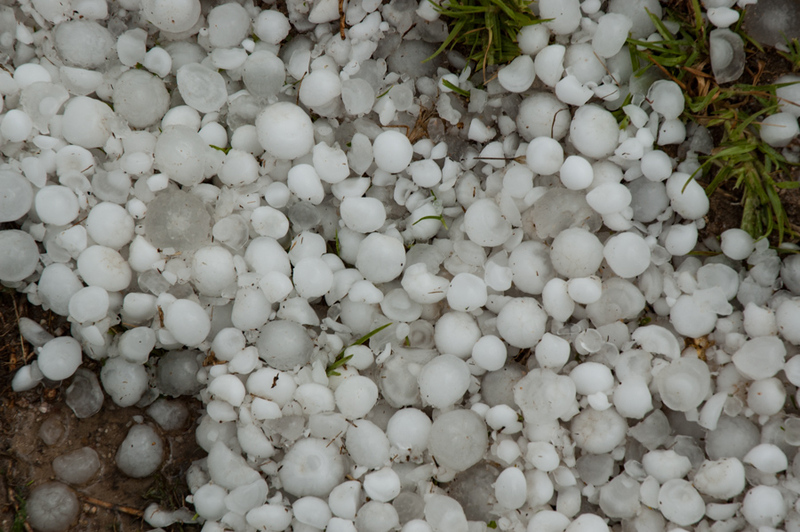 Estimates of insurance damage are still rising and are now well over $150 million. 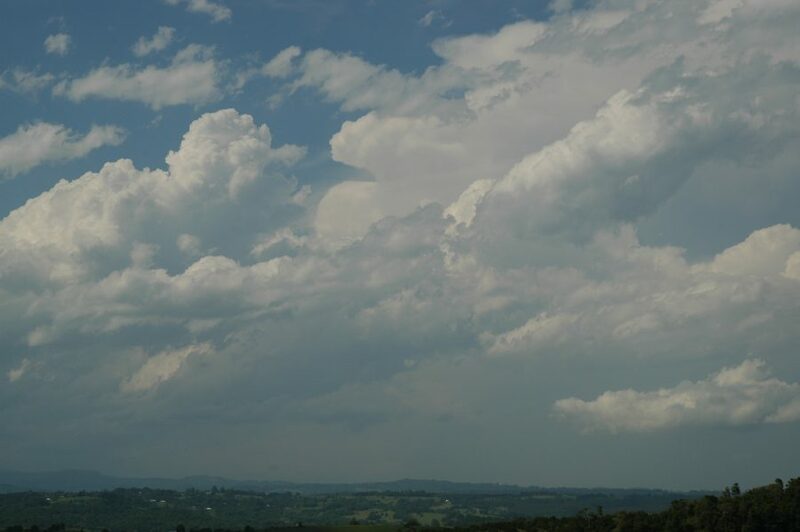 A second possible supercell with hail to 5cm dumped hail from Wyong and Toukley areas. 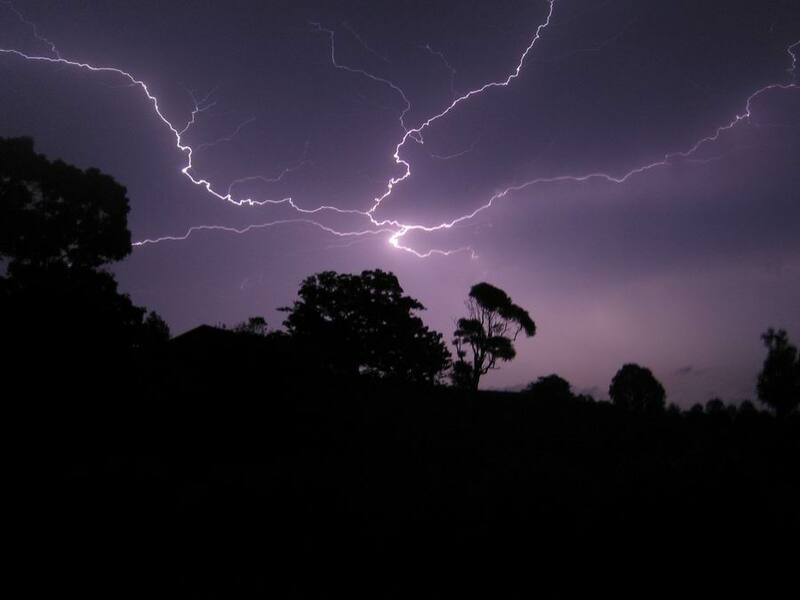 Due to competition from other storms, the storms lost intensity throughout the evening. 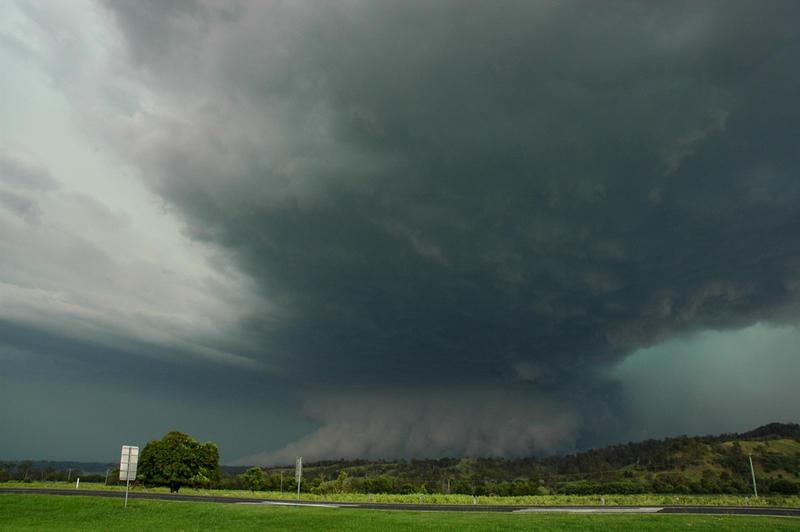 The 26th October 2007 was like any ordinary severe weather setup with an emphasis on supercell development. 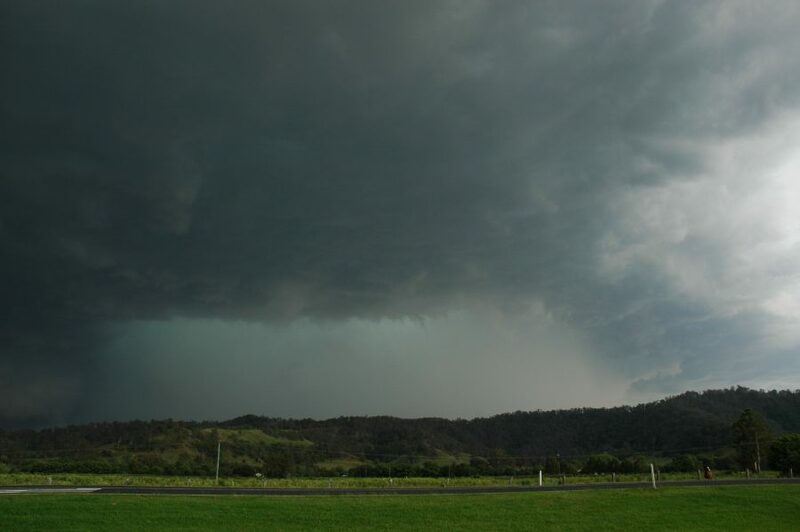 On top of other widespread severe weather across eastern NSW, a supercell developed and approached on a path to Lismore (NSW Northern Rivers district). 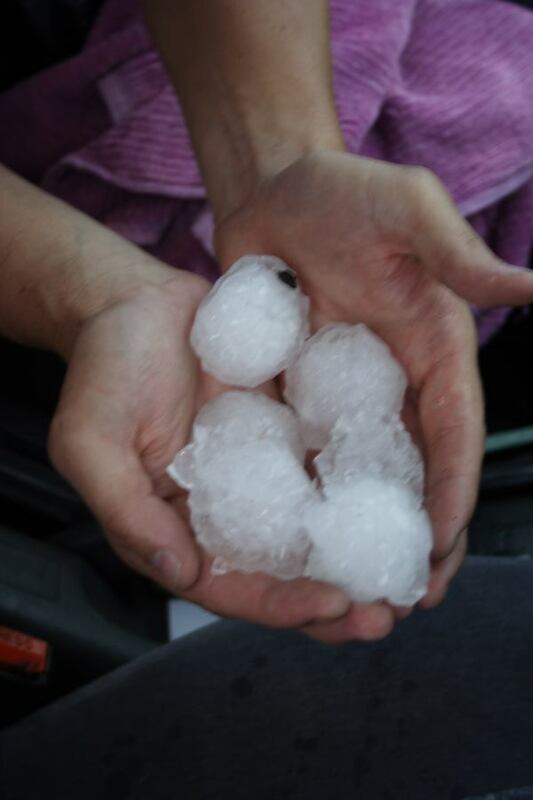 Hail to golf ball sized was reported 10km SW of Lismore. 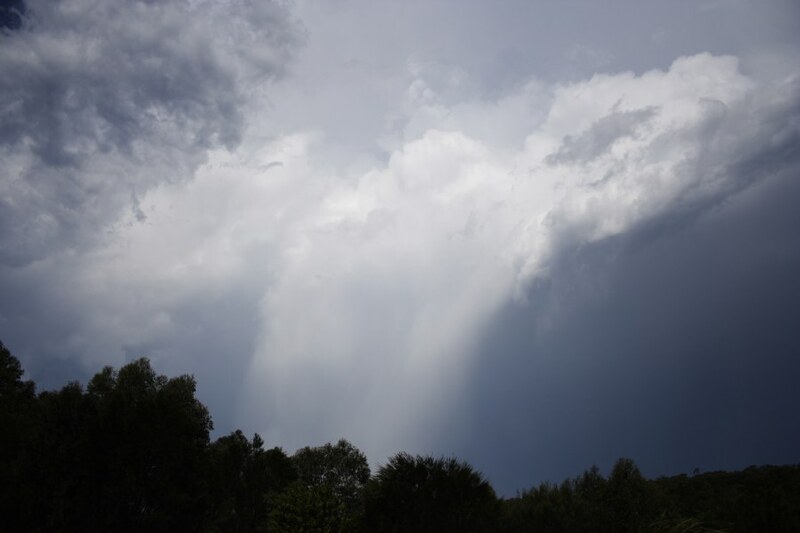 With the initial phase weakening and developing new updrafts over Lismore, the storm moved towards Dunoon. 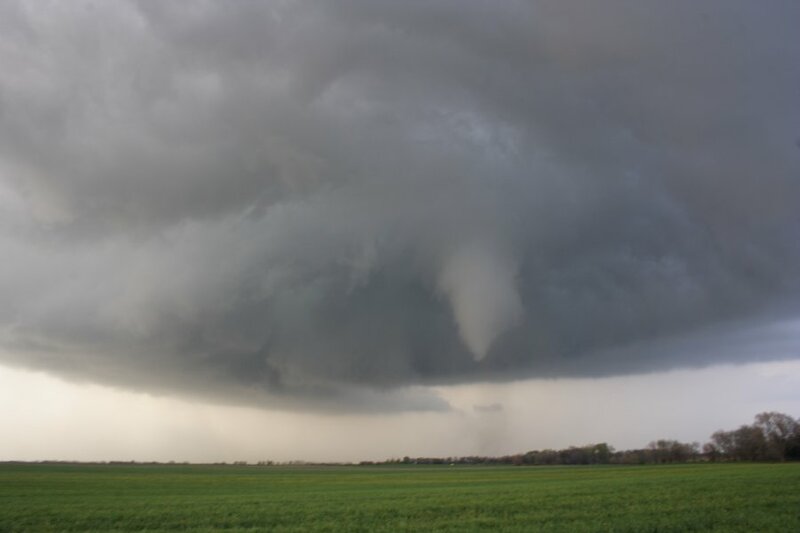 The supercell interacted with a likely boundary in the area producing a long lived strong tornado. 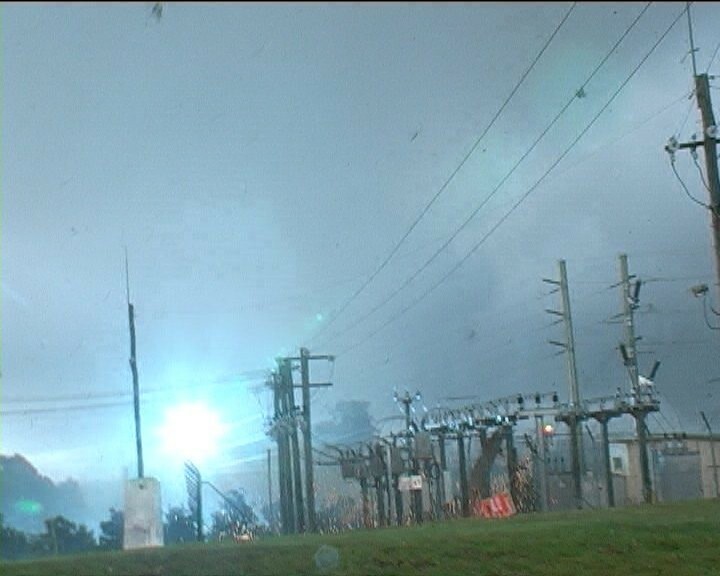 The debris filled tornado caused an explosion of the local electricity substation and damaged or severely damaged several buildings including the local church. 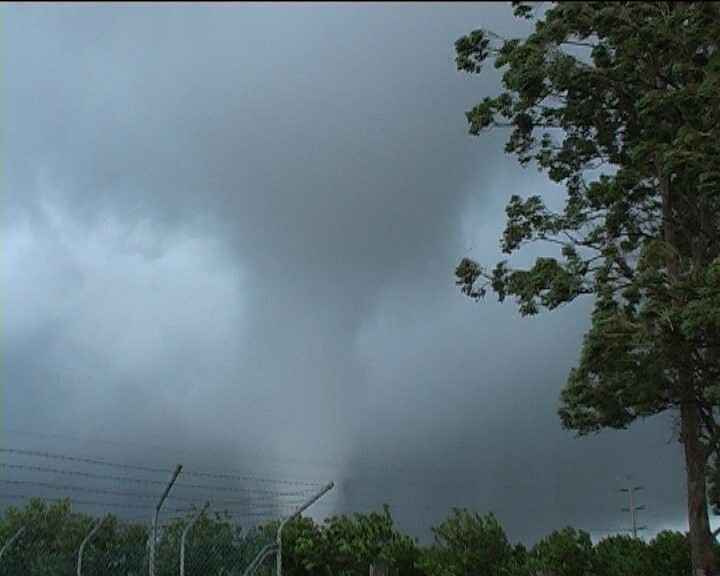 The tornado exhibited multi-vortex behaviour and made it to the news media around Australia and the globe over the next 24 hours. 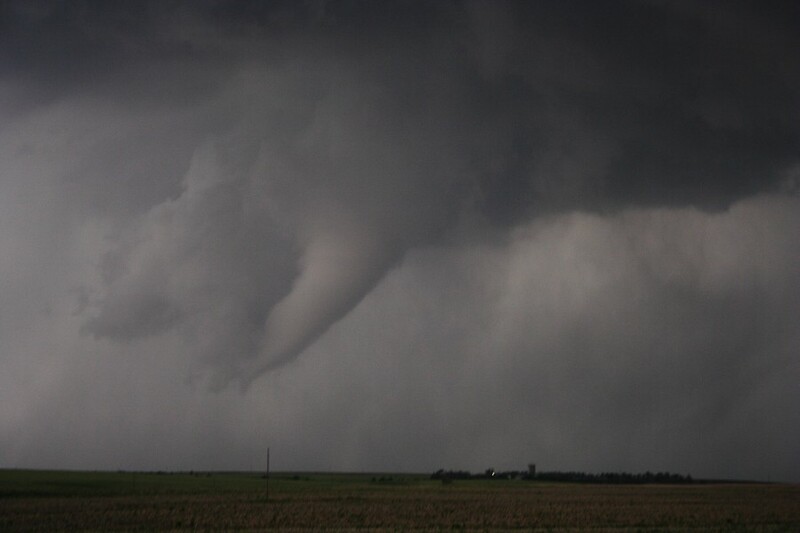 The tornado may have been on the ground for at least 25 minutes. 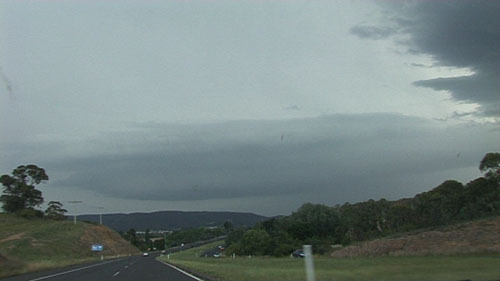 Saturday 10th February 2007 provided a unique opportunity to do a storm chase dash to the Northern Tablelands. By dash, I mean heading off once a significant storm is already showing on radar. 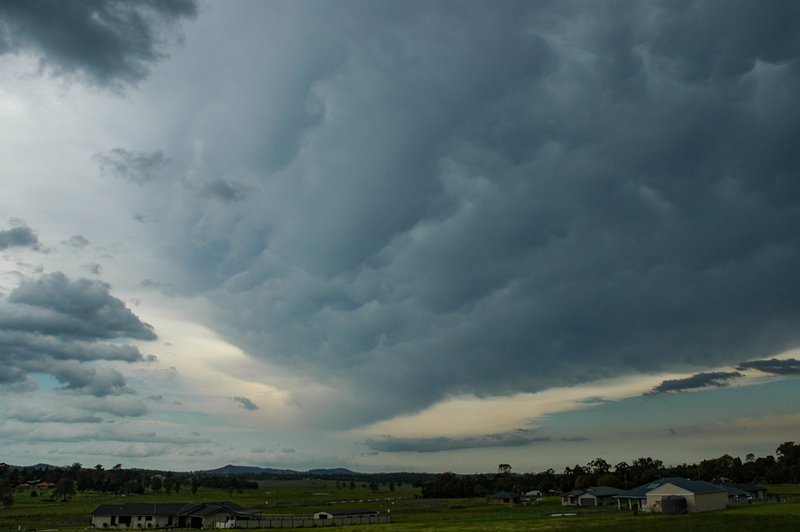 A severe storm formed just southwest of Glen Innes and slowly tracked towards the north-northeast. 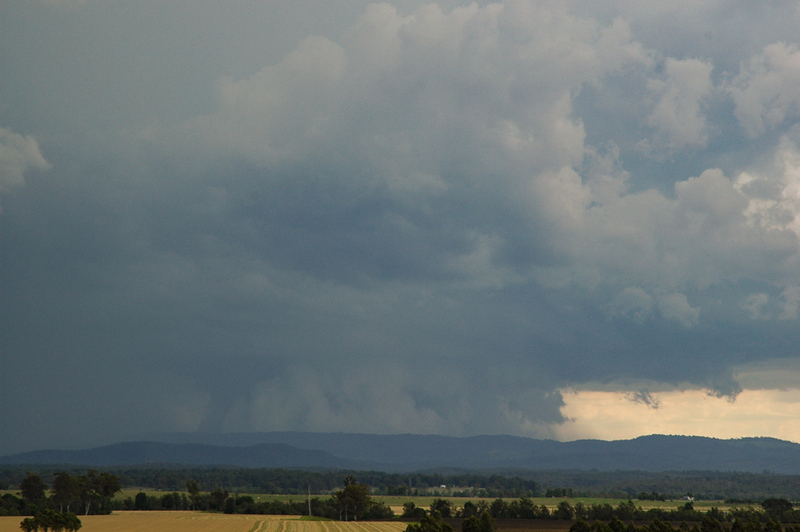 This gave JUST enough time for an intercept 20ks southeast of Tenterfield 2.5 hours after leaving home near Lismore. 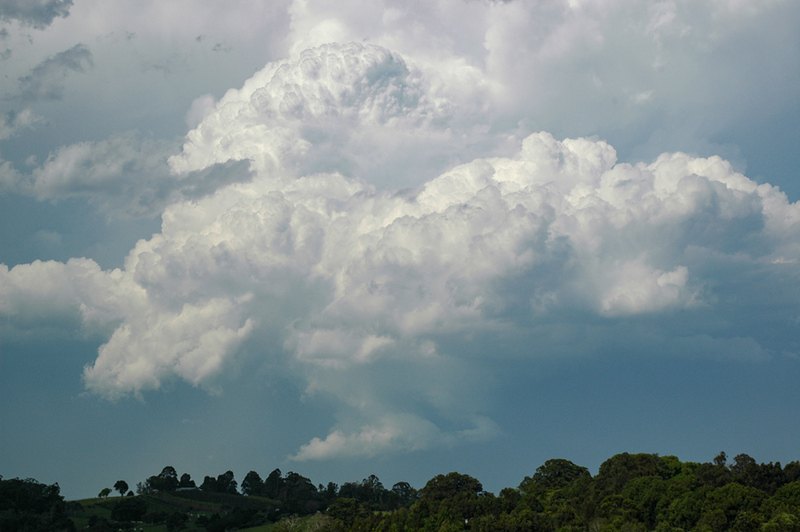 Powerful updrafts on the New England Highway south of Tenterfield. 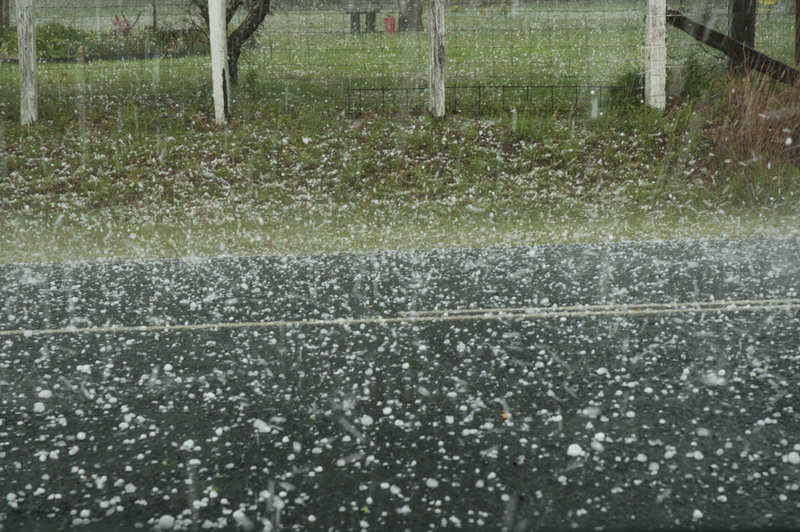 The storm base as it was unleashing the hail. 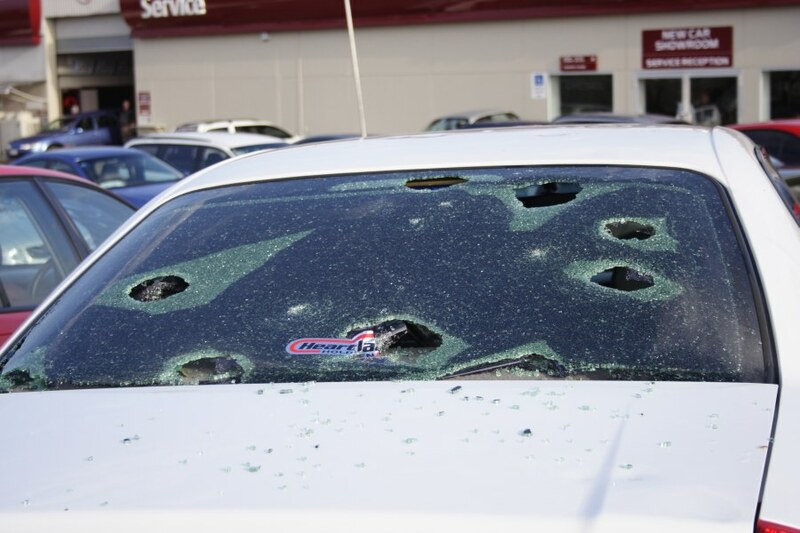 The storm dash gamble paid off with a major hail event. 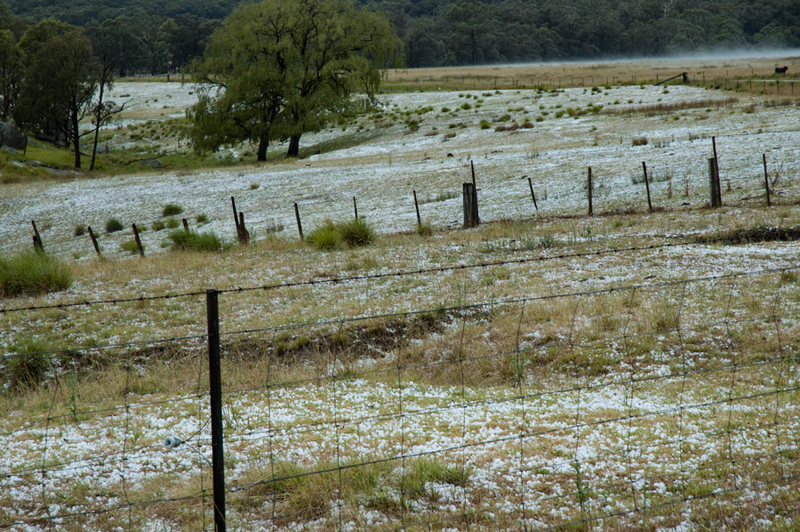 It was amazing to see the fields turned white from hailstones up to 5cm diameter. 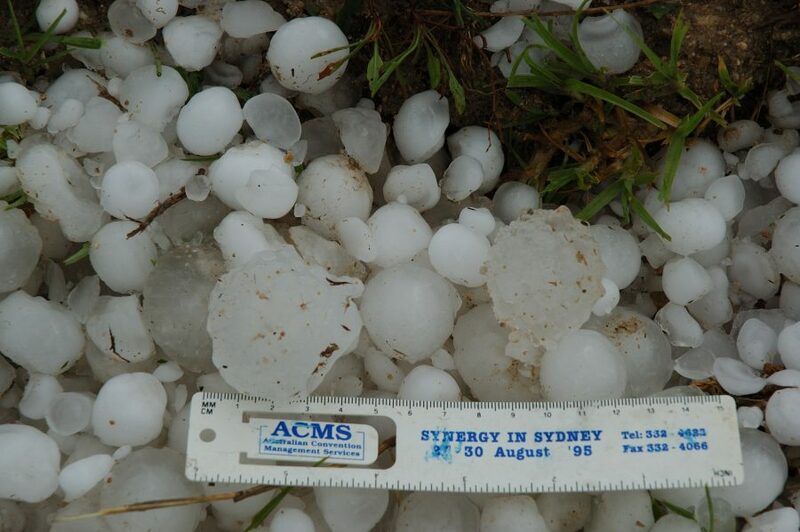 Typically hail drift events consist of smaller stones 1 to 2 cm diameter. 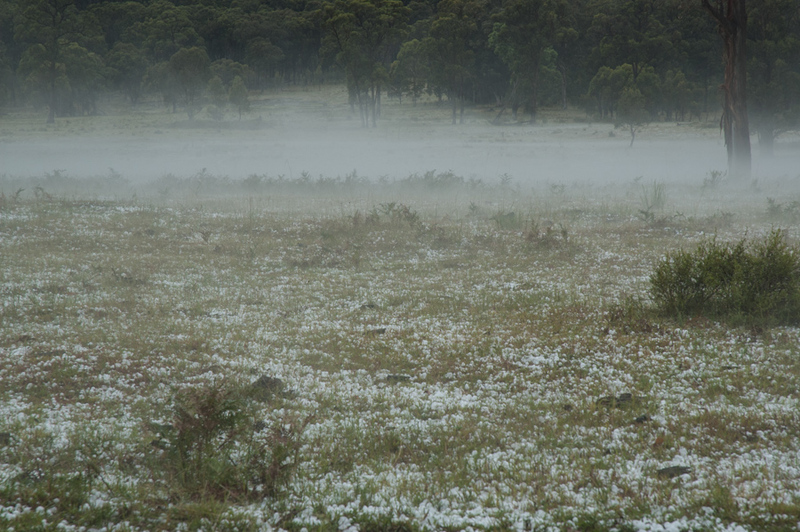 A hail fog developed in the warm humid conditions that followed the thunderstorm. 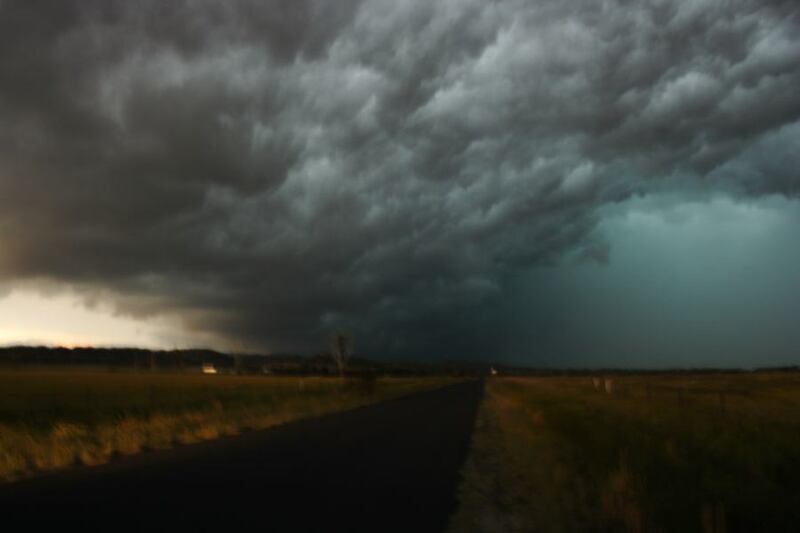 The 15th November 2006 held some great potential for severe thunderstorms and supercells with a dynamic trough and dryline system passing over Southeast Queensland. 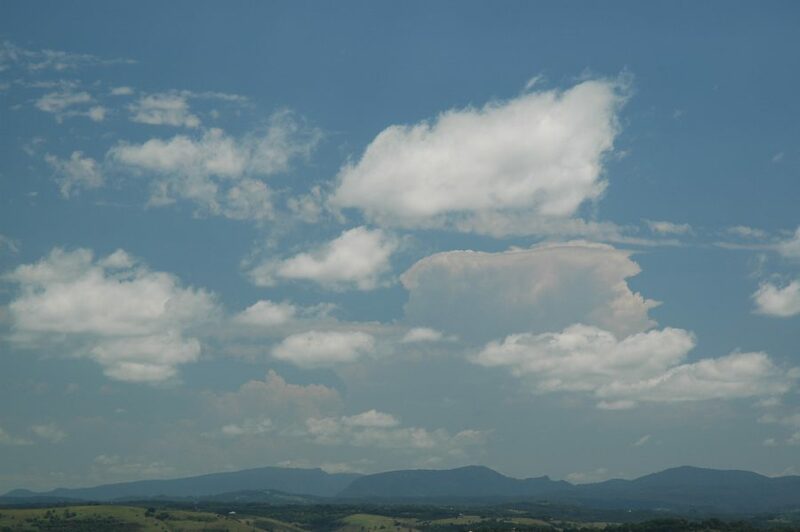 Extensive anvil cloud which spread southeast from dawn supercells in the Wide Bay Burnett region kept a lid on convection in the initial target area - the Sunshine Coast - but very powerful thunderstorms formed either side of this from early afternoon. Four right moving cells including supercells developed over parts of the greater Brisbane area and into the border regions of NSW. 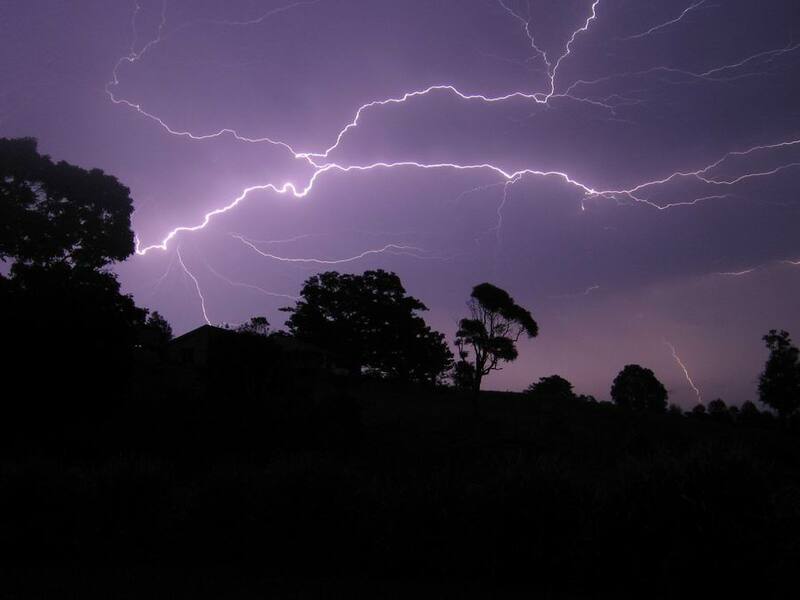 These tracked east to southeast over Brisbane, the Gold Coast and into the northern parts of the Northern Rivers. 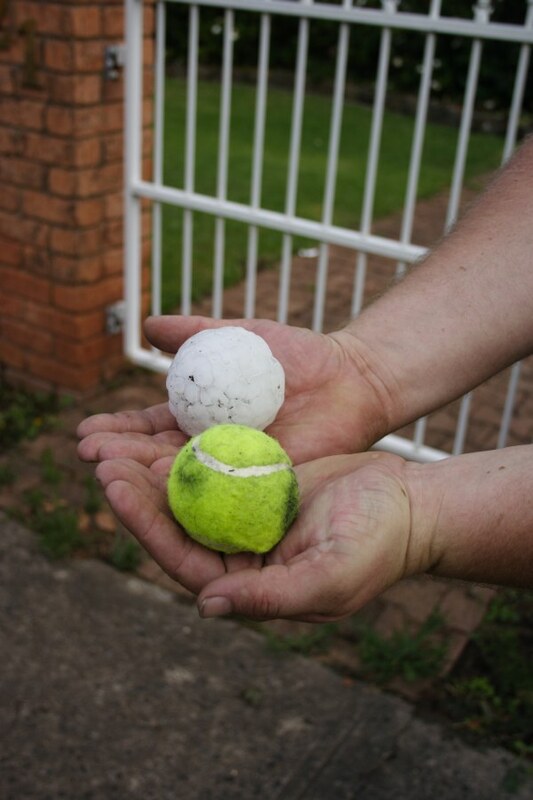 An LP supercell passed over the Tweed Coast resulting in golf ball sized hail. 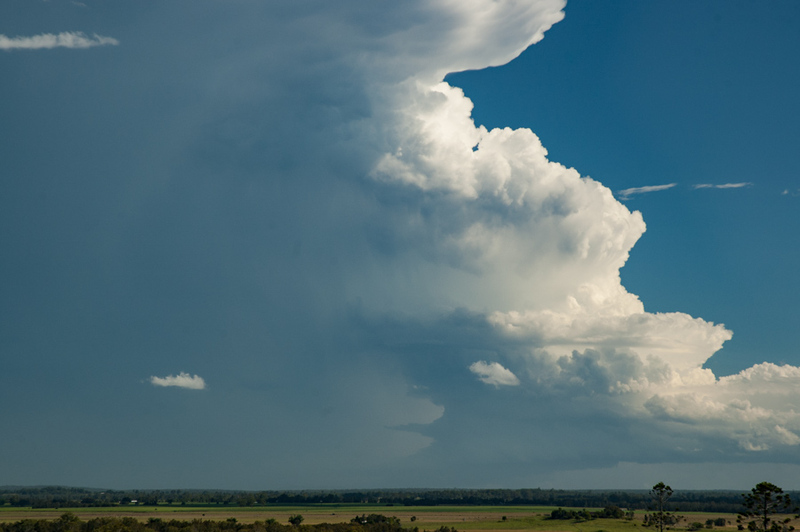 Another cell passed over the Byron area after forming on the Nightcap Range. 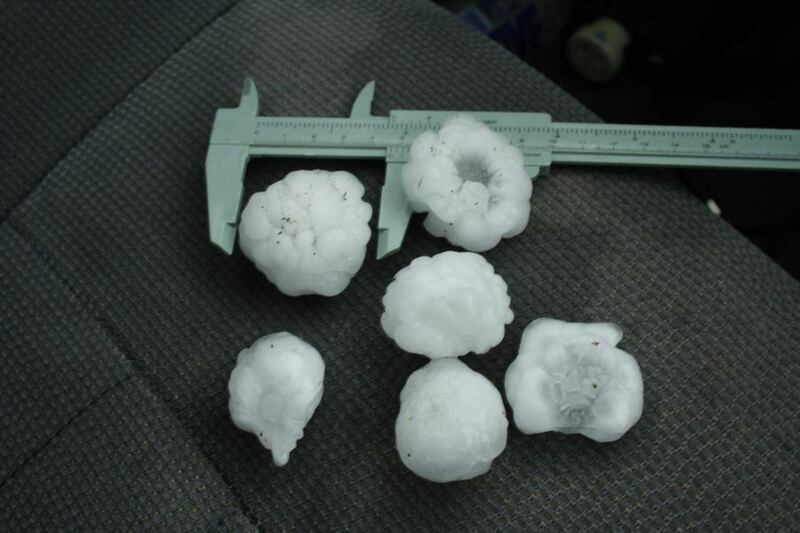 4cm hail was reported from Suffolk Park. The structure of this cell was impressive. The 8th November 2006 was a warm and humid day with altocumulus castellanus during the morning and north to northeast winds. Some smallish thunderstorms developed to the north to northwest by mid morning followed by strong thunderstorm development to the west from about midday. One of those cells intensified near Drake west of Casino. 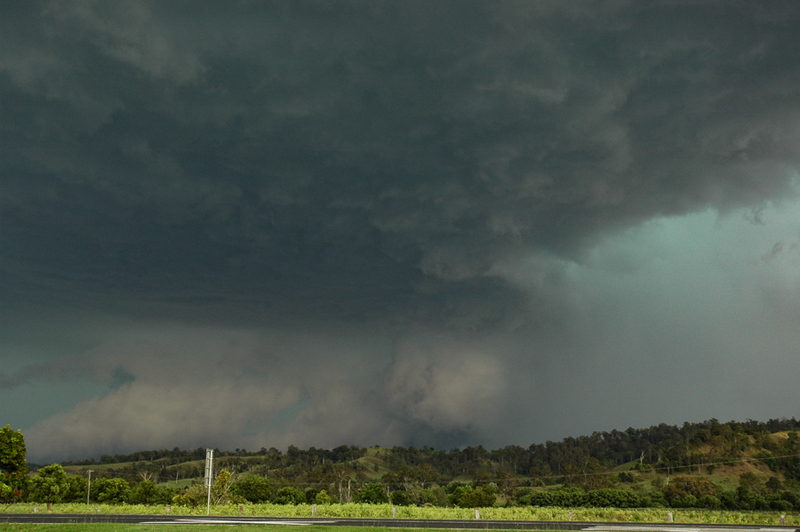 This High Precipitation Supercell then tracked northeast towards the Gold Coast Hinterland. 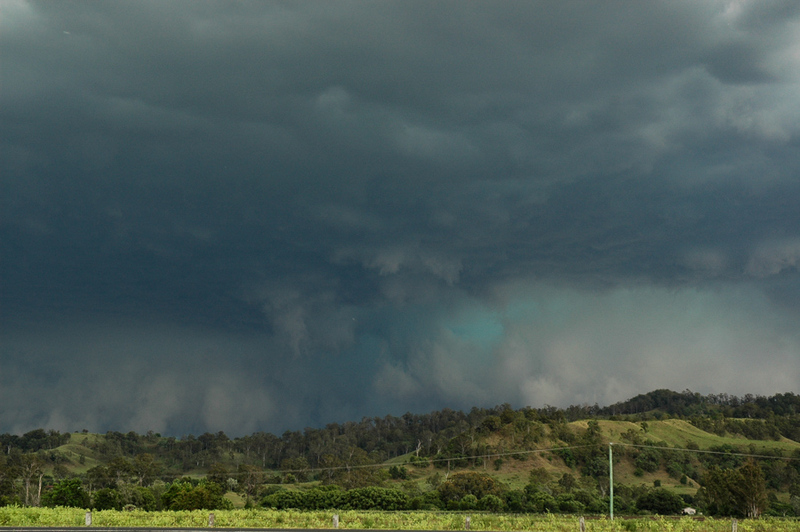 Storm chasers were fortunate to witness breathtaking supercell structure at Wiangaree north of Kyogle. 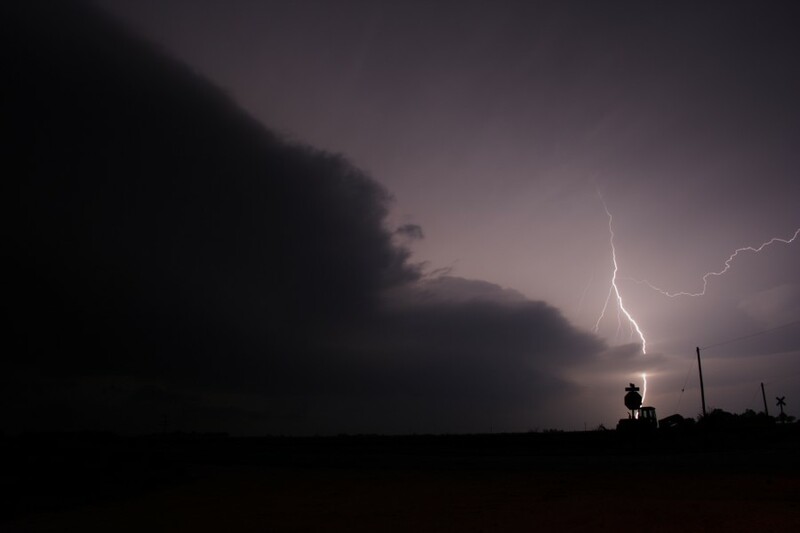 A favourable triple point in southwestern Kansas paved way for supercells to develop and eventually spawn tornadoes. 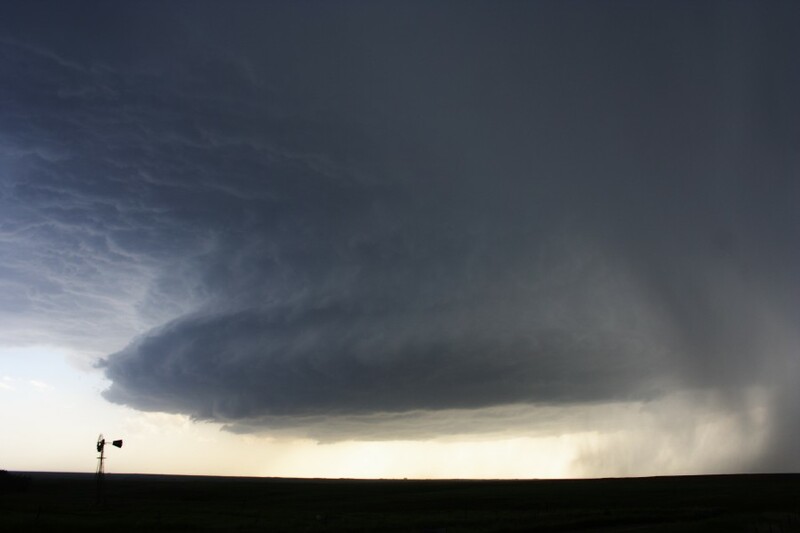 The first supercell developed and gradually attained a flying saucer structure. 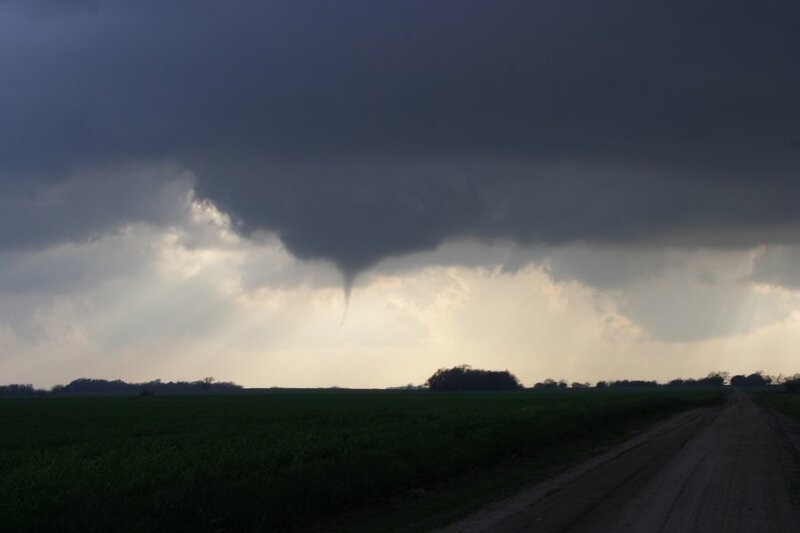 The rotation was quite strong and a serpentine funnel developed as well another funnel cloud. 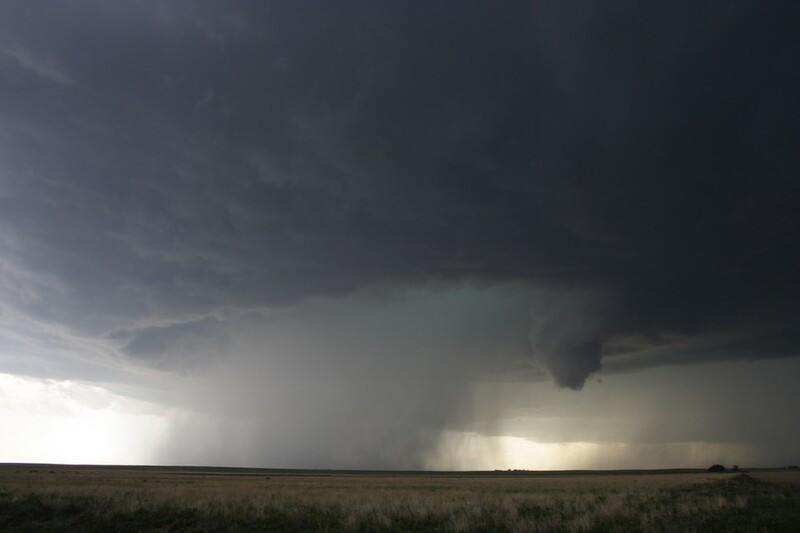 This supercell simply was unable to produce a tornado. 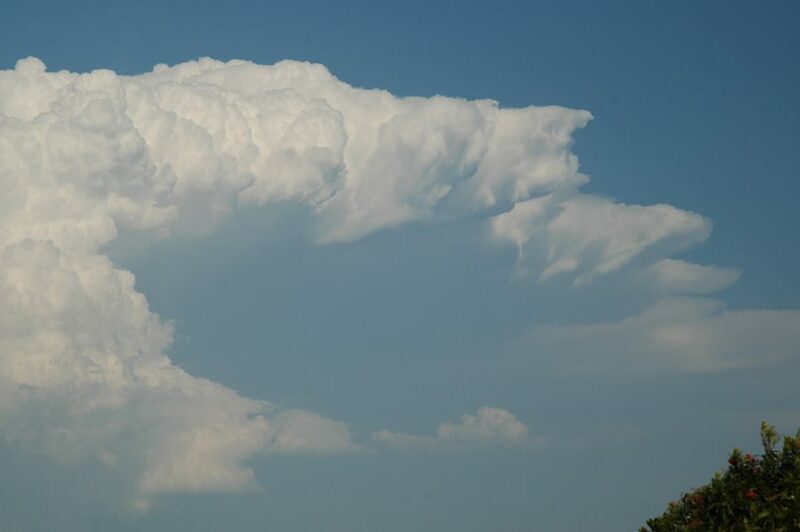 The second and adjacent storm also rapidly had become supercellular but in the form of a wedding cake - hail streaks indicative of the impending giant hailstones. 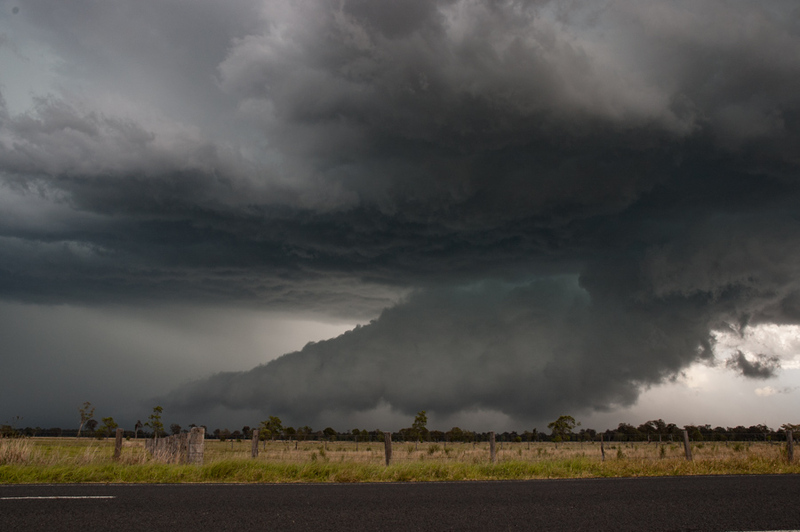 This spectacular mesocyclone gradually wrapped in rain and hail possibly producing a tornado. 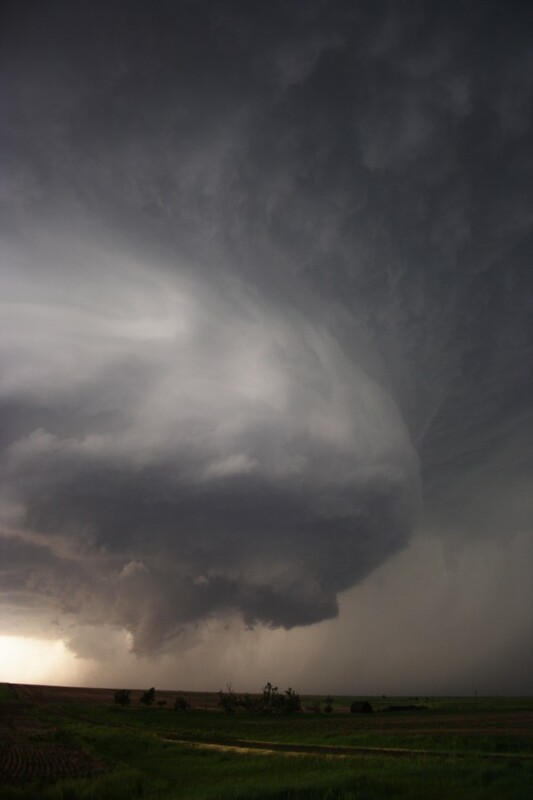 Finally another spectacular mesocyclone developed and spawned one spectacular tornado near Hill City lasting six minutes - the scupltured storm structure of this second supercell a natural marvel. The lightning show completed what turned out to be a superb days chasing. 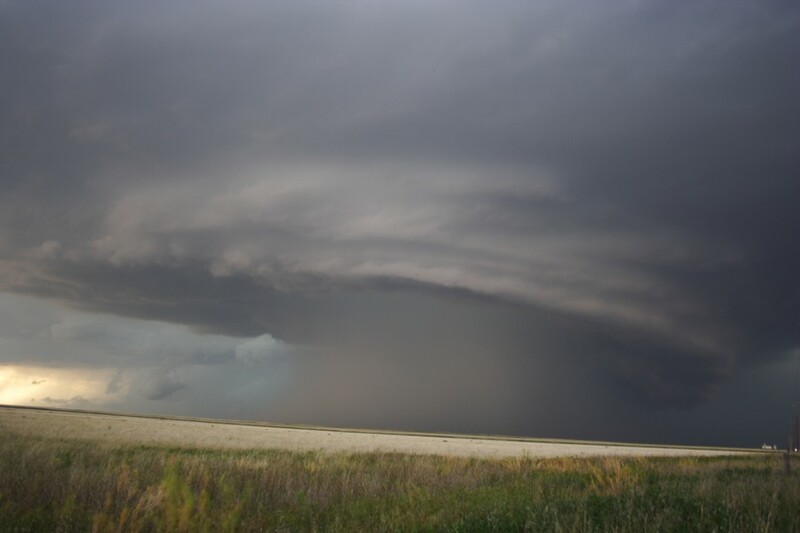 A beautiful HP supercell developed over the high plains of extreme SE Colorado 31st May 2007. 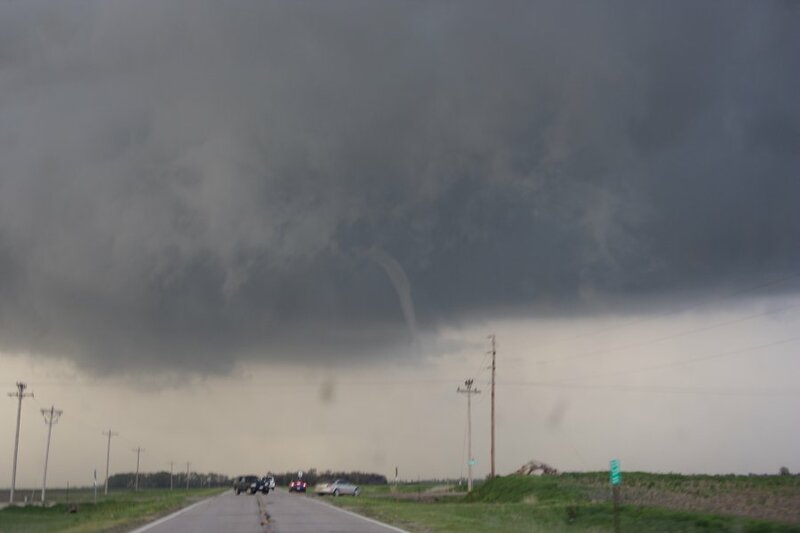 Beginning as a dry spiral HP structure, the storm quickly attained rapid rotation and a funnel cloud. At one point the smoke from a grass fire was getting sucked into the inflow notch - with lightning dropping, it made for an incredible scene. 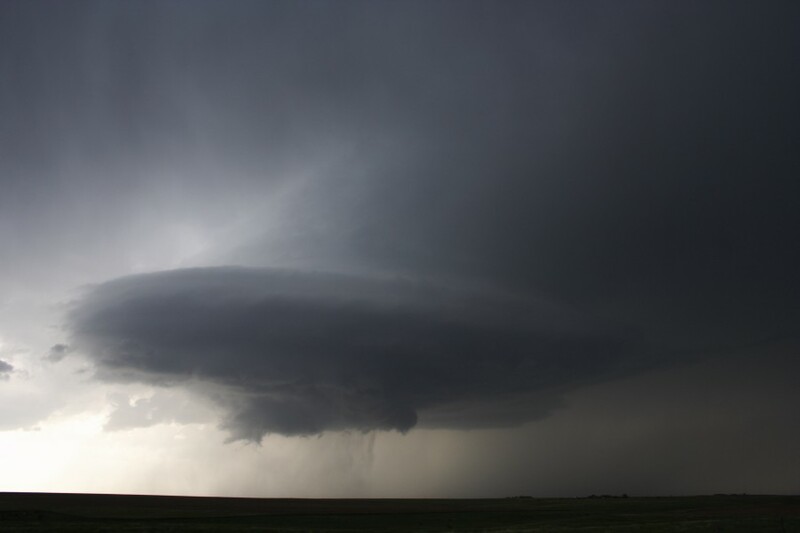 Striations were evident on this supercell for most of its life cycle. 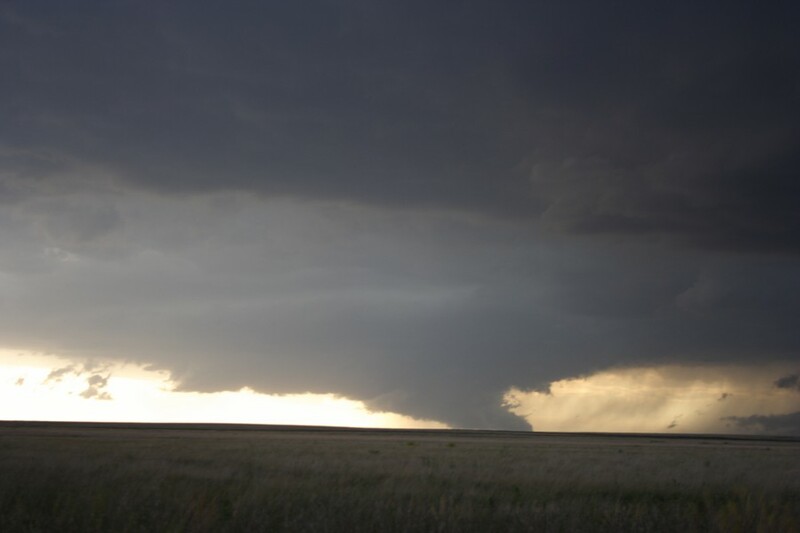 Although rare to be observed, tornadoes can suddenly make their presence felt - this one emerging from the precipitation core in the Oklahoma panhandle. 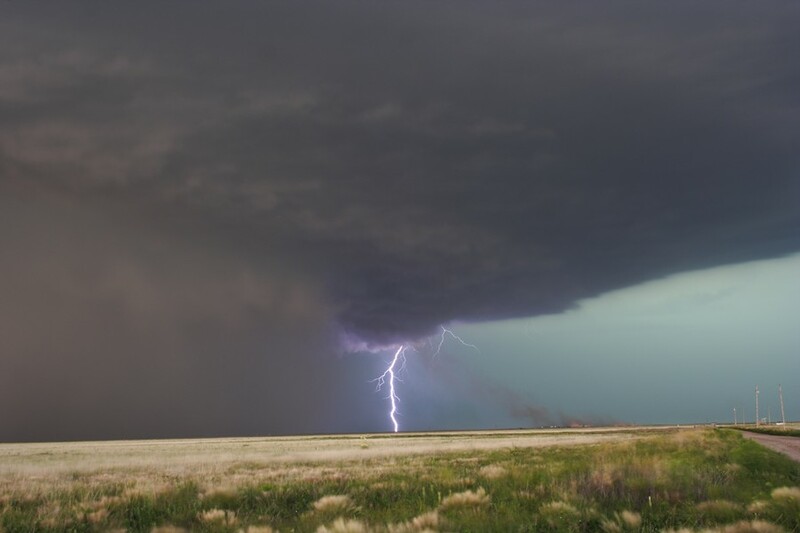 The storm approached and threatened Guyman in the Oklahoma panhandle creating tense moments. 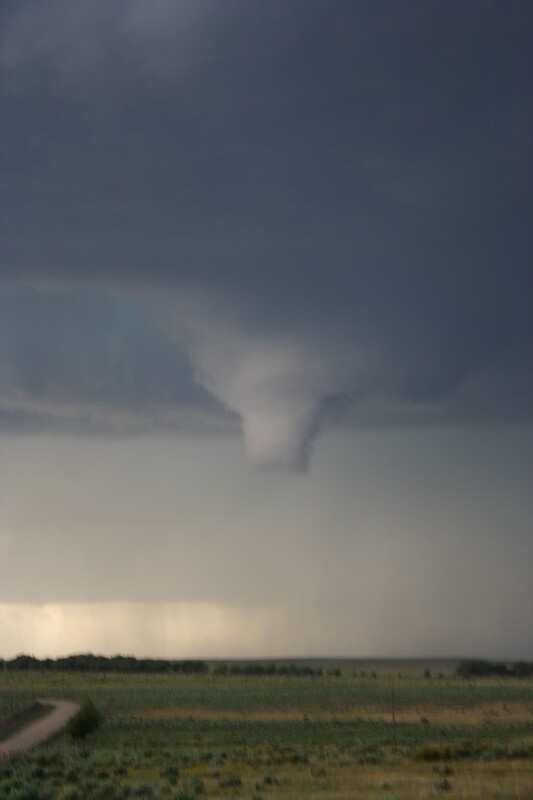 A low topped supercell on a triple point in Central Kansas develops and sends down a funnel cloud on several occasions, but initially does not succeed in becoming a tornado. Whilst moving to our new location a puff of dust occurs! 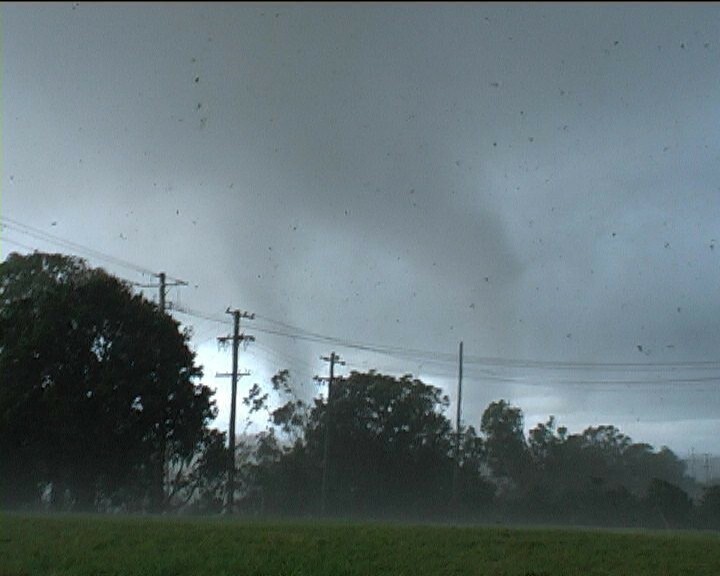 We were only half a mile away and watched the tornado now moving ENE touch down once or twice over a nice green field. 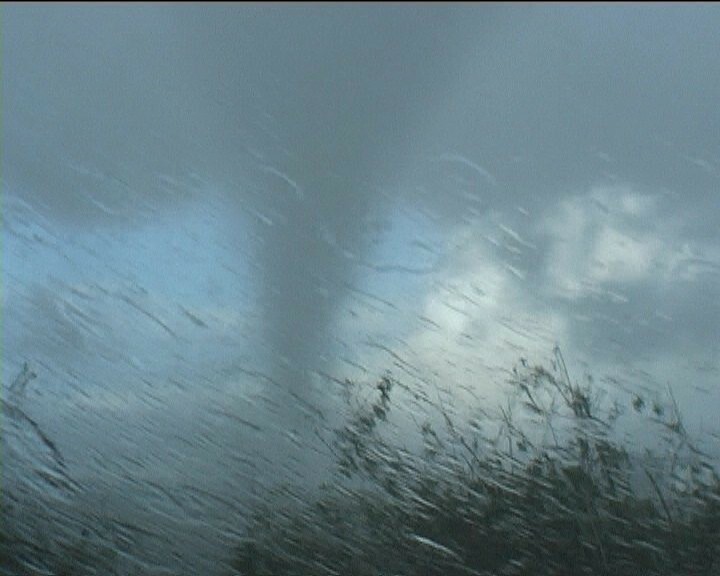 We followed this tornado a little further and got a nice serpentine funnel around the main tornadic funnel under the same mesocyclone. 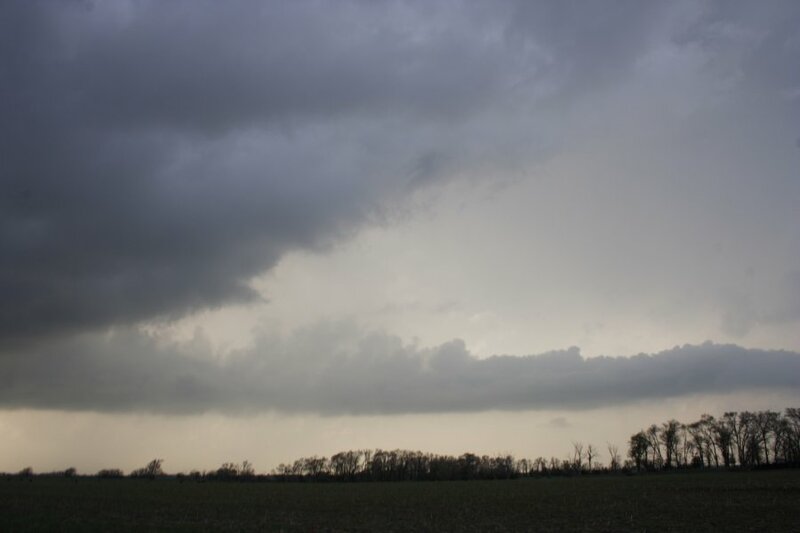 At this point the mesocyclone lowered showing quite strong rotation. 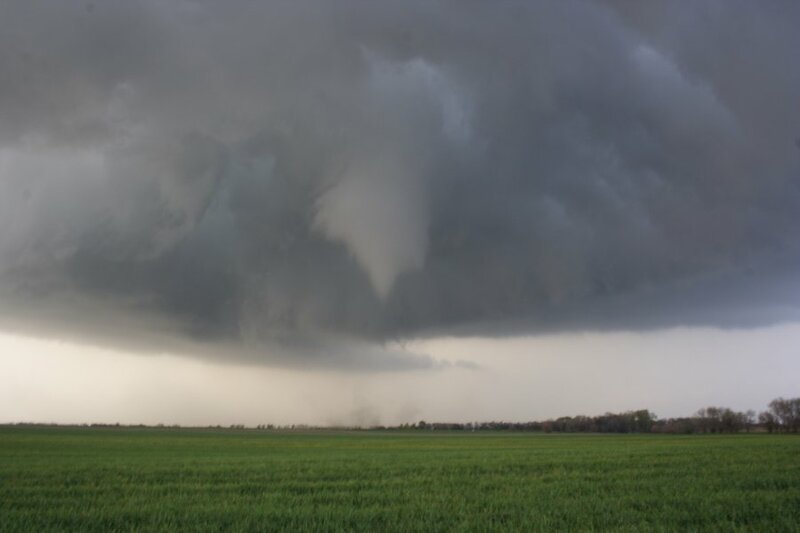 Eventually, the storm produced a second mesocyclone and thence dropped another brief dust tornado. 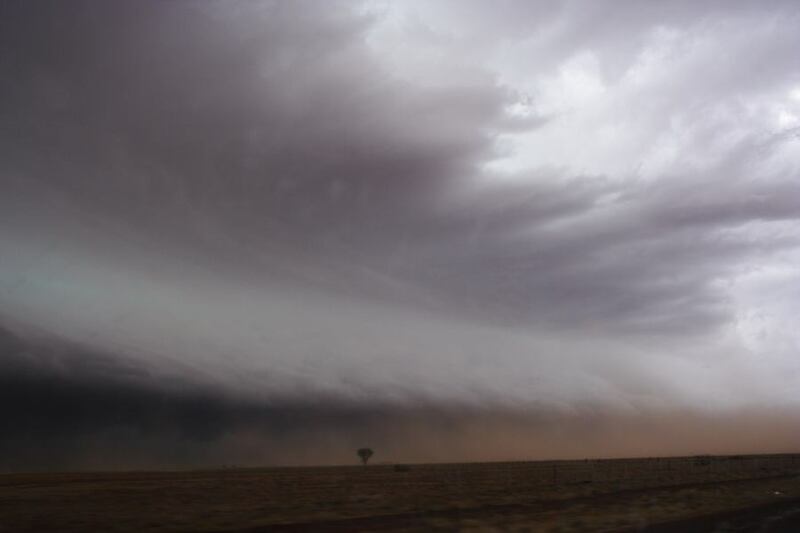 It would be reasonable to say that the supercell structure observed on the 7th February 2007 was the most impressive classic supercell ever witnessed by the chasers in this country. 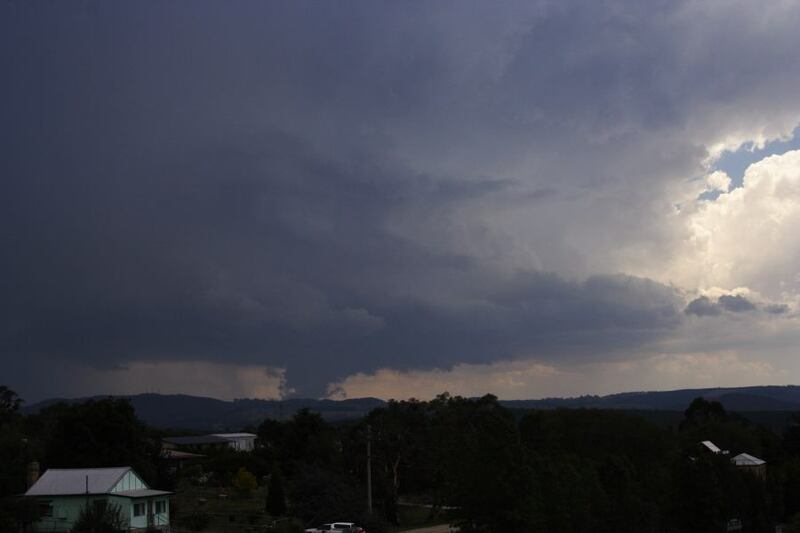 Developing west of Lithgow in a very unstable but capped environment and increasing wind shear, the storm rapidly intensified and began to rotate. 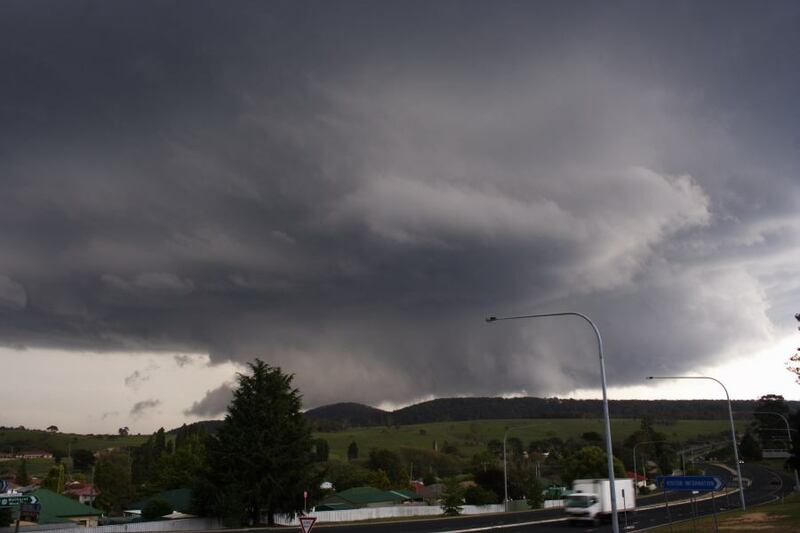 Complete with structure and the development of several wall clouds, the storm's rotation became significant on approach to Lithgow and as it passed across the small city! The beaver tail would have to be the thickest beaver tail the chasers had ever witnessed and stetched at least 10 kilometres ahead of the storm. 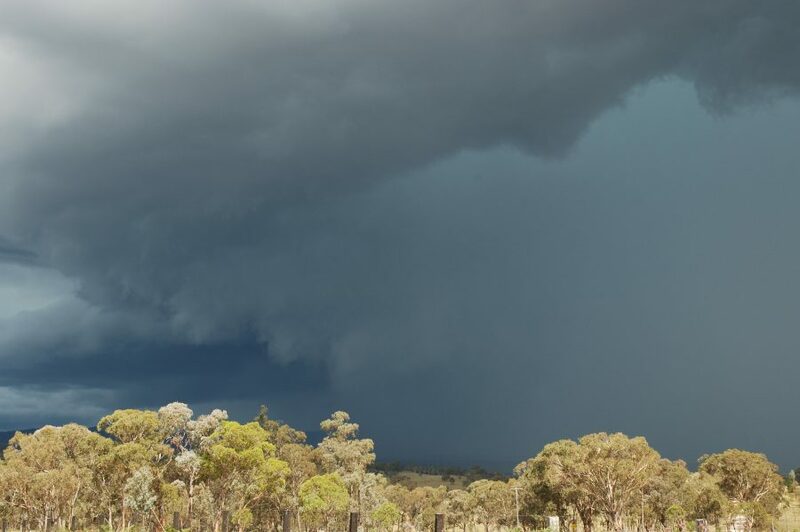 Even after dropping hail to 6cm just east of Lithgow, the storm remained in its classic state only to be swallowed by another possible high precipitation supercell approaching from the west. Why this storm attained such incredible structure is still a mystery - I guess it is one of those unexplained freaks of nature. Conditions somehow came together at the right time. There seemed to be a boundary and triple point within the storm's local environment. 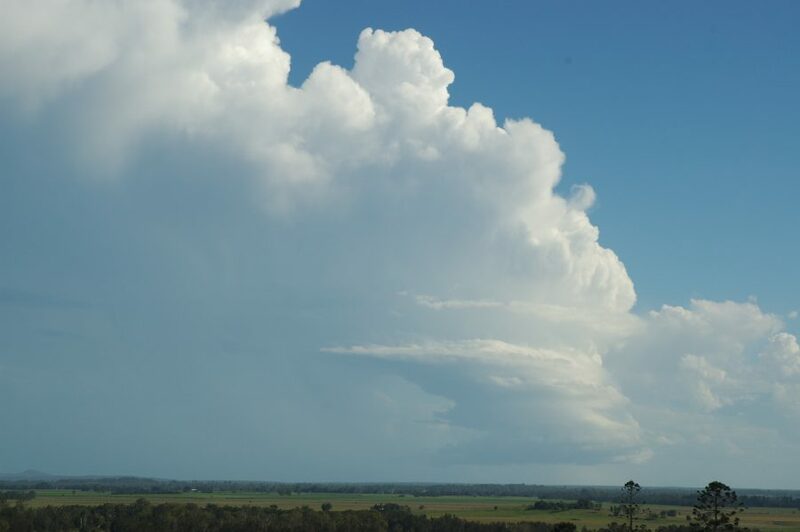 An isolated thunderstorm developed just south of Grafton about 2pm on Friday 2nd March 2007. It tracked almost due north for a couple of hours before rapidly decaying from around 4.45pm. 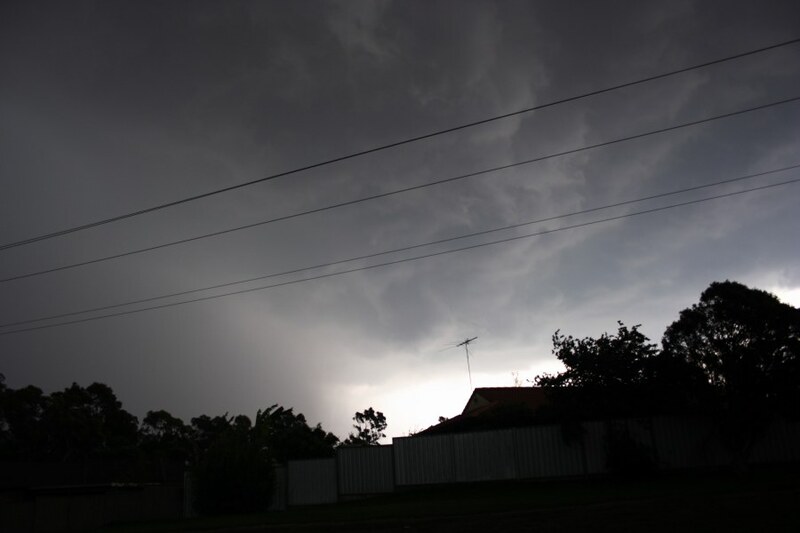 The Bureau of Meteorology issued a severe thunderstorm warning for the storm. 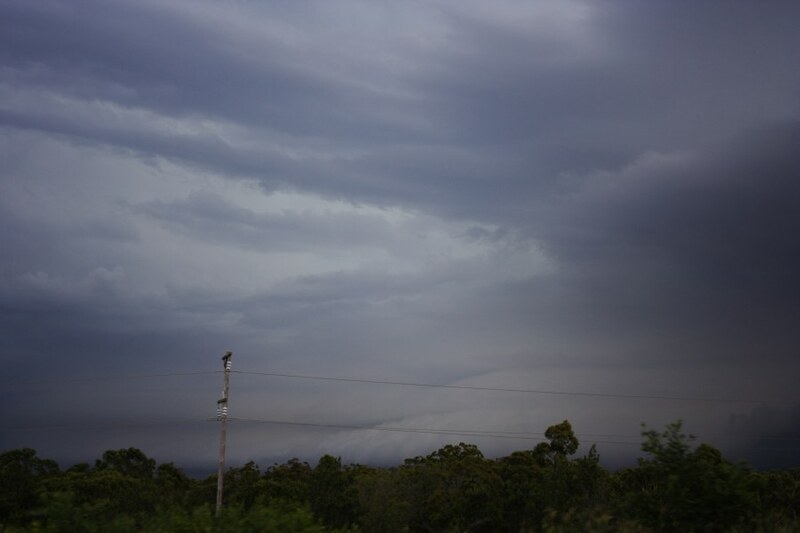 Radar signature and structure were impressive - this view from south of Lismore. It seems a boundary of some sorts or weak triple point might have assisted the storm development given conditions were fairly marginal. 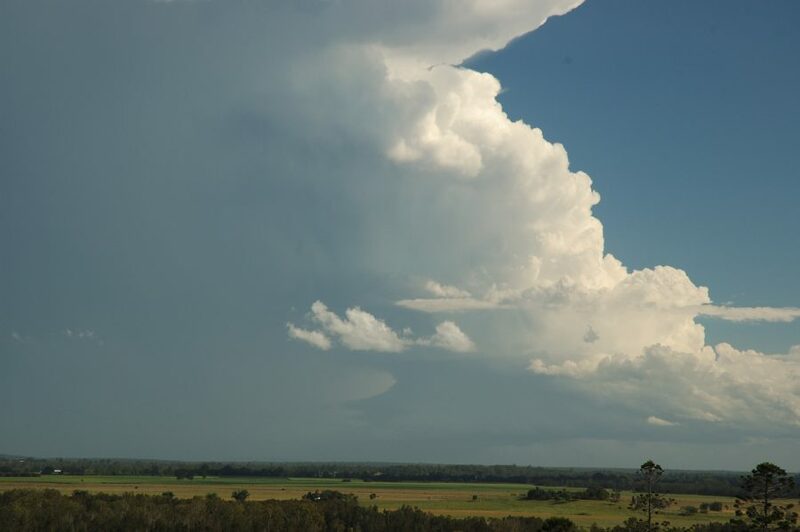 Given the deep layer shear evident on the day, the 2nd January 2007 provided south west Queensland with spectacular storms. 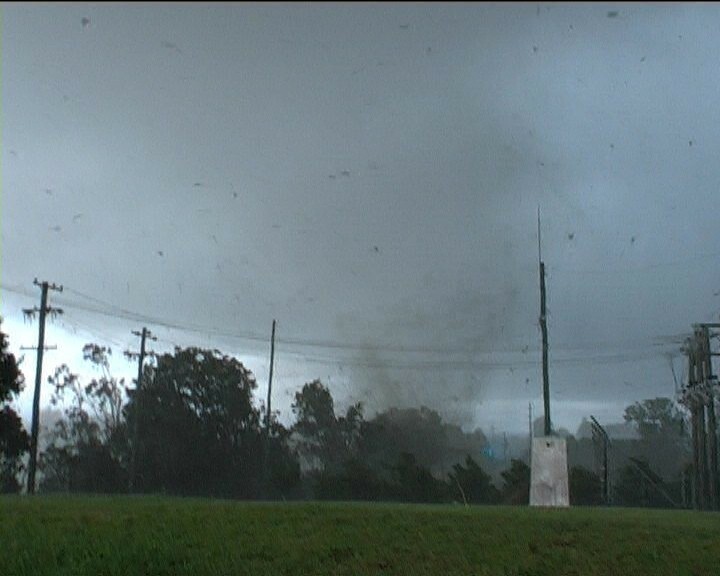 One storm in particular approached the border town of Barringun from the south west. 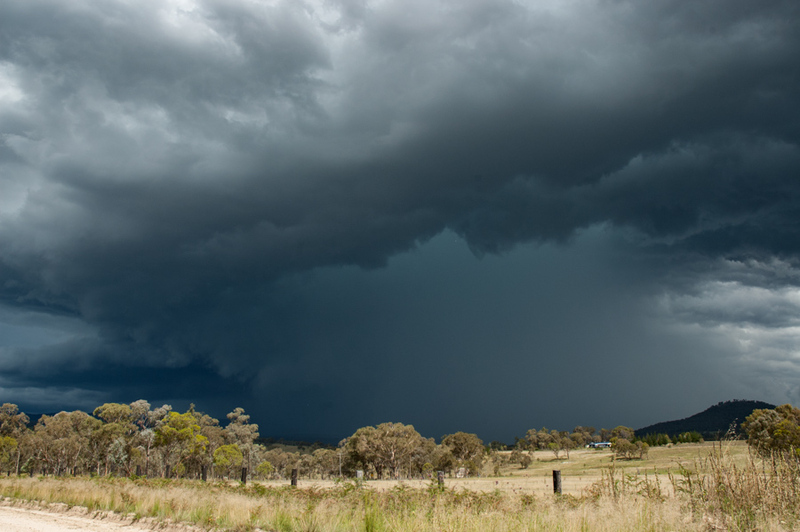 With inflow bands and spectacular shelf cloud, this supercell dumped very heavy rainfall and hailstones. 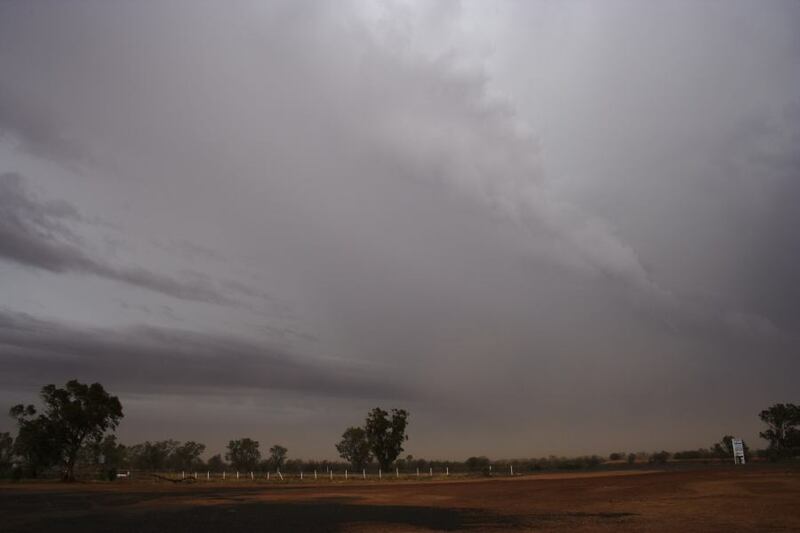 The most incredible feature however was the dusty inflow - the storm not visible until within 20km of our location. 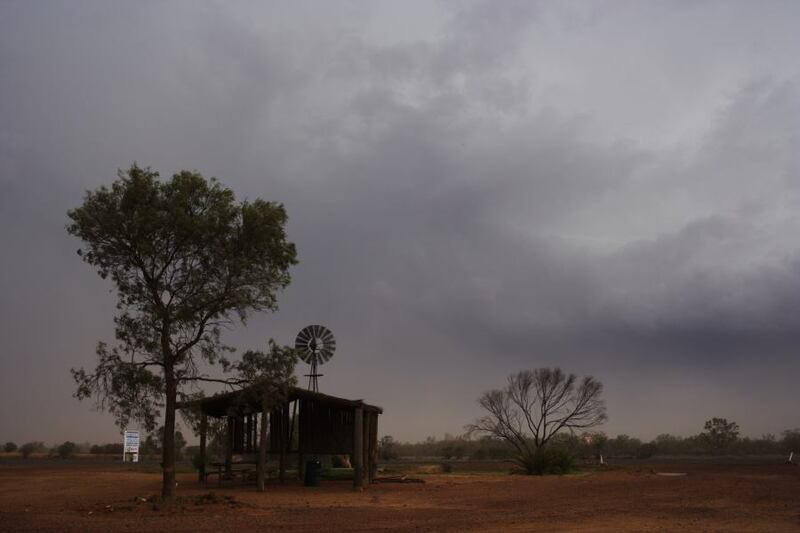 At least, the rains from these and previous day's storms provided relief from the severe drought across the region. Favourable combination of shear and instability as well as a boundary provided the basis for the development of severe storms on the 27th November 2006. 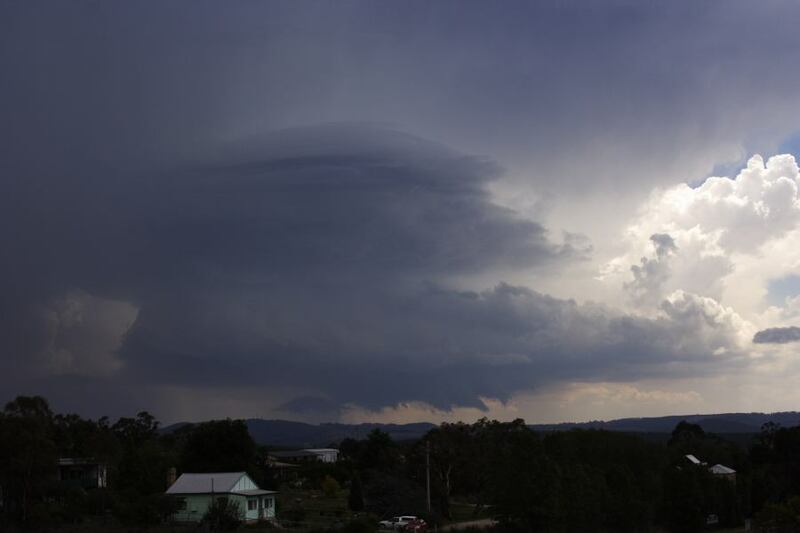 The only supercell on the day developed near Ebor and tracked north-northwest towards Tenterfield, in the northern tablelands of NSW. 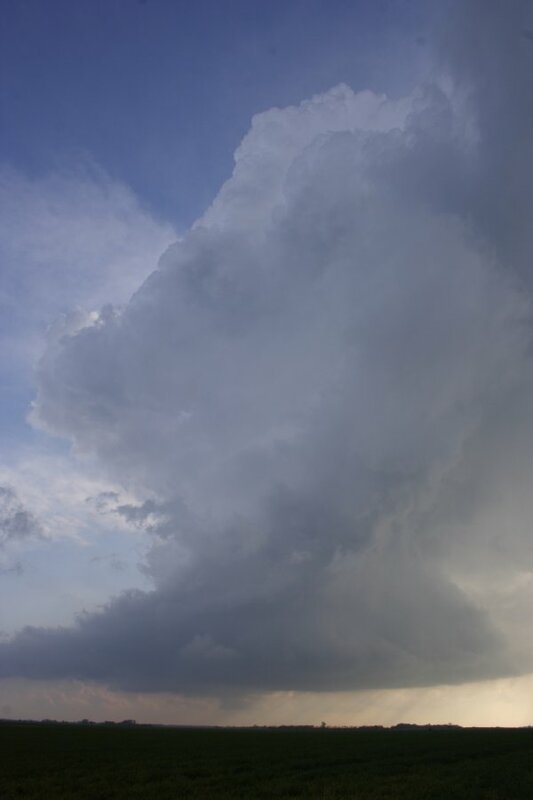 Hail to 5cm and a prominent wall cloud were observed with this supercell. 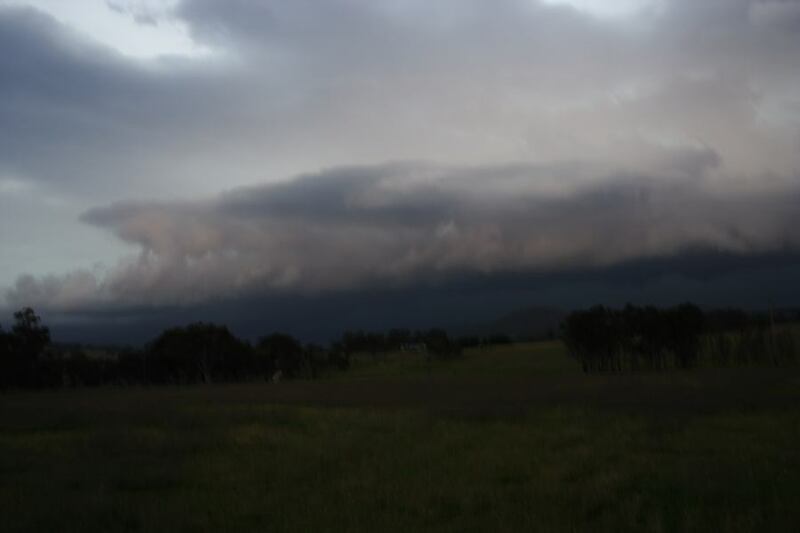 This storm then became more outflow dominant though still presented impressive shelf cloud structure as it neared Tenterfield. Lightning at this stage was scary! 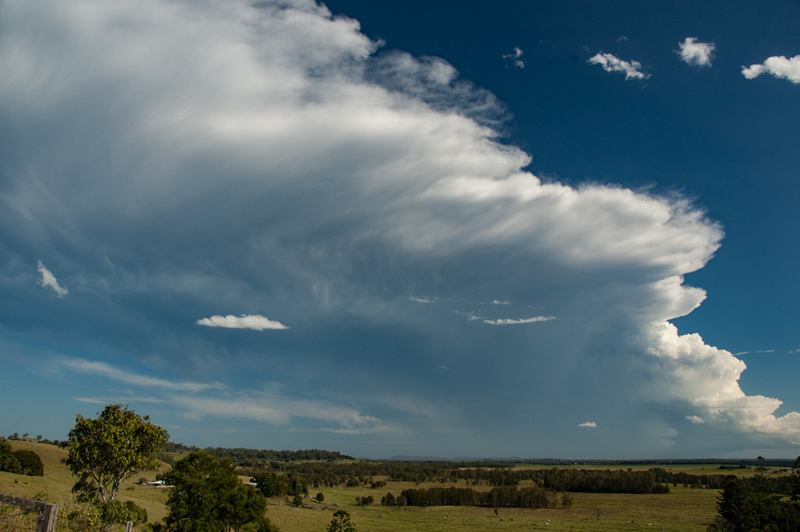 The supercell and other thunderstorm activity in the Northern Rivers produced thick anvils. 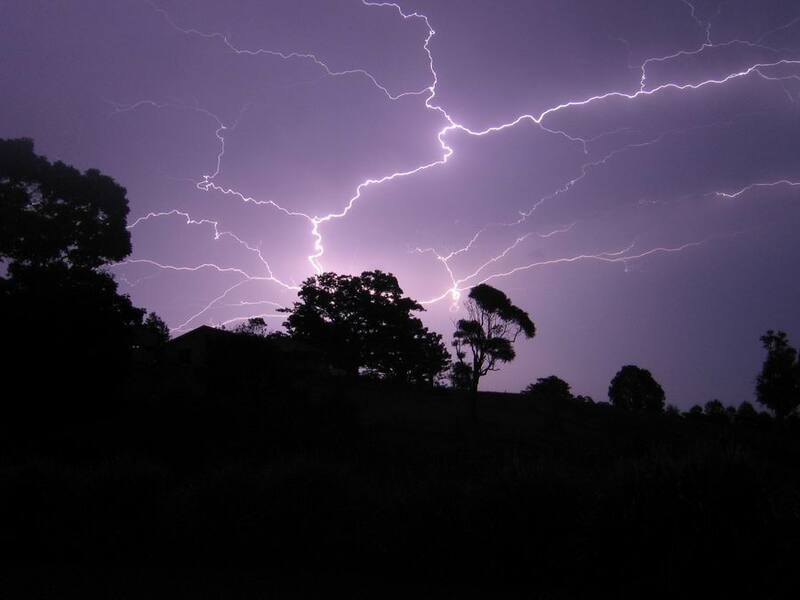 Spectacular anvil crawler lightning was captured by Katrina Bath from McLeans Ridges.